NEBL is at the halfway of the Regular Season and there are still another 6 rounds left. Here is the last round review presented by ESL. 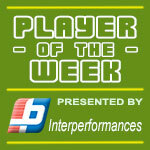 NEBL top team - Dream Ballers (6-1) added another victory to their record on Saturday. This time they beat fifth ranked Defenders (2-4) in Dangriga 79-74. Dream Ballers looked well-organized offensively handing out 22 assists. Great defensive blocking was one of the keys in this match when Dream Ballers made 13 blocks. It was a good game for Delvon Henderson who led his team to a victory with a triple-double by scoring 21 points, 18 rebounds and 11 blocks. International guard Edgar Mitchell (-93) contributed with 14 points, 5 rebounds and 8 assists for the winners. Forward Farron Louriano (198-89) replied with 16 points and 8 rebounds for Defenders. Defenders' coach tried various players' combinations and tested in total thirteen players in this game, but that didn't help. Dream Ballers have an impressive six-game winning streak. They maintain first position with 6-1 record. Defenders at the other side keep the fifth place with four games lost. Dream Ballers are looking forward to face league's second-placed Verdes in the next round and it will be for sure the game of the week. Defenders will play against Red Bandits in Belmopan and it may be a tough game between close rivals. The game between fourth ranked Hurricanes (3-2) and 6th ranked Red Bandits (1-4) in Belize City ended with biggest points difference. Hurricanes beat guests from Belmopan 91-76. International guard Glency Lopez (-97) scored 16 points and 8 assists to lead the charge for the winners and Shannon Fowler chipped in 15 points, 7 rebounds and 4 assists during the contest. 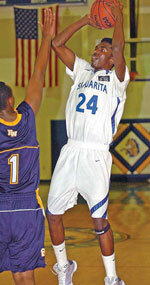 The best for the losing side was guard Jevaughn McKenzie with 18 points and 5 assists. Both coaches used bench players which allowed the starters a little rest for the next games. Defending champion moved-up to third place. Red Bandits lost fourth consecutive game. They keep the sixth position with four games lost. Hurricanes' supporters look forward to an exciting derby game next round, where their team will face at home their local rival from Belize City Running Rebels. In the last game of round 6 bottom-ranked Orange Walk RR were beaten by Verdes on the road 94-87. NEBL top team - Dream Ballers (6-1) added another victory to their record on Saturday. This time they beat fifth ranked Defenders (2-4) in Dangriga 79-74. Dream Ballers looked well-organized offensively handing out 22 assists. Great defensive blocking was one of the keys in this match when Dream Ballers made 13 blocks. It was a good game for Delvon Henderson who led his team to a victory with a triple-double by scoring 21 points, 18 rebounds and 11 blocks. International guard Edgar Mitchell (-93) contributed with 14 points, 5 rebounds and 8 assists for the winners. Forward Farron Louriano (198-89) replied with 16 points and 8 rebounds and American center Nigel Jones (201-90, college: Talladega) added 8 points and 8 rebounds in the effort for Defenders. Defenders' coach tried various players' combinations and tested in total thirteen players in this game, but that didn't help. Dream Ballers have an impressive six-game winning streak. They maintain first position with 6-1 record. Defenders at the other side keep the fifth place with four games lost. Dream Ballers are looking forward to face league's second-placed Verdes in the next round and it will be for sure the game of the week. Defenders will play against Red Bandits in Belmopan and it may be a tough game between close rivals. The game between fourth ranked Hurricanes (3-2) and 6th ranked Red Bandits (1-4) in Belize City ended with biggest points difference. Hurricanes beat guests from Belmopan 91-76. Hurricanes players were unselfish on offense dishing 24 assists. International guard Glency Lopez (-97) scored 16 points and 8 assists to lead the charge for the winners and American forward Shannon Fowler (203-93, college: W.Georgia) chipped in 15 points, 7 rebounds and 4 assists during the contest. Four Hurricanes players scored in double figures. The best for the losing side was guard Jevaughn McKenzie with 18 points and 5 assists and American center Jevonte Hughes (196-93, college: Charleston) scored 8 points, 12 rebounds and 4 assists. Both coaches used bench players which allowed the starters a little rest for the next games. Defending champion moved-up to third place. Red Bandits lost fourth consecutive game. They keep the sixth position with four games lost. Hurricanes' supporters look forward to an exciting derby game next round, where their team will face at home their local rival from Belize City Running Rebels. No shocking result in a game when second ranked Verdes (4-1) beat at home bottom-ranked Running Rebels (1-5) 94-87. Verdes shot 26 for 37 from the free-throw line, while Running Rebels only scored eight points from the stripe. Running Rebels were plagued by 25 personal fouls down the stretch. 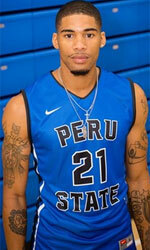 American point guard Kris Frazier (201, college: Peru St.) had a double-double by scoring 33 points (!!!) and 13 rebounds (on 12-of-15 shooting from the field) to lead the charge for the winners and the former international forward Richard Troyer (196-84, college: Utah Valley) chipped in 21 points and 5 rebounds during the contest. Verdes' coach allowed to play the deep bench players saving starting five for next games. The best for the losing side was forward Roger Reneau with a double-double by scoring 26 points and 10 rebounds and American point guard Isaiah Thomas (188-93) scored 24 points, 7 rebounds, 7 assists and 4 steals. Verdes have a solid three-game winning streak. They maintain second position with 4-1 record having 2 victories less than leader Dream Ballers. Running Rebels at the other side stay at the bottom place with five games lost. Verdes will play against league's leader Dream Ballers in Dangriga in the next round and it will be for sure the game of the week. Running Rebels' supporters look forward to an exciting derby game next round, where their team will travel locally in Belize City to the arena Hurricanes.